Since 1998, the Saghi group has performed many concerts in different cities such as Shiraz, Yazd, Kish, Gorgan... It's composed of Setar players, a Tombak player and a Daf player. They mostly play compositions of Master Jalal Zolfonoon. Amir Mohammad Etminan is the head of this group. 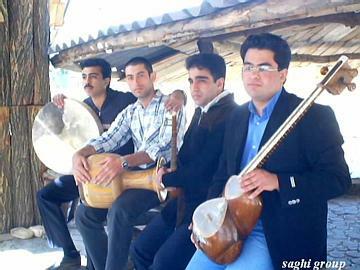 The other members are Ali Reza Khodam (Setar), Ali Reza Omidpanah (Tombak) and Behnam Naghipoor (Daf). This group is also in contact with other groups outside Iran and is ready to collaborate with any group and perform outside the country.